A prosecutor’s core mission is and has always been to promote justice and to protect the community by ensuring public safety. 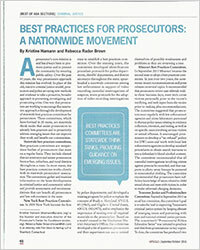 Over the past 30 years, the way prosecutors approach this mission has evolved. In place of the old, reactive criminal justice model, prosecutors and police are using new methods and evidence to take a proactive, broader approach to preventing, investigating, and prosecuting crime. 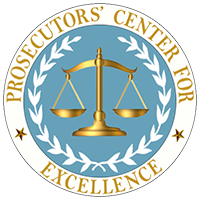 One way that prosecutors are working to encourage this innovative approach is through the development of statewide best practices committees for prosecutors. These committees, which have formed in 20 states, are statewide think tanks that assist prosecutors to identify best practices and to proactively address emerging issues that can improve their work and benefit our communities.